There is parking in front of the restaurant and on our side street of 7th. This is paid (75 cents an hour) 2 hour parking that is monitored Mond thru Fri 8 a.m. to 6 p.m. and Saturday get all day for paying for 2 hours. Bus stops are located 1/2 block above on St. Helens and one block below on Broadway. We do private events in the restaurant for up to 38 people sit-down. Please contact the restaurant directly for specific menu options and reservations. We are a small 38-seat, family, scratch kitchen boutique-style restaurant and it is our desire to bring you a warm and welcoming dining experience. I strive to keep our menus fresh and updated for every season, while rotating customer favorites. We source local products as much as possible. Our primary focus is fresh, robust menu items, with emphasis on both protein and pasta dishes. Ask your server for the soup of the day. Fridays are our Crab Bisque. Sliced pears over romaine with cranberries, gruyere cheese and sliced pecans, finished with our poppyseed dressing. Lobster, cognac, oyster mushroom and green pea "Mac & Cheese" with shallots, thyme, tarragon, nutmeg, cayenne, cream and penne pasta finished with gruyere and parmesan, topped with house made croutons and baked. Roasted butternut squash in our white wine reduction with shallots and sage, finished with cream, parmesan and gruyere then baked to perfection. Comes with side salad of the day, chef's choice. Sorry no substitutions. Our house made spiced pulled pork, provolone, sliced ham, pickled three ways, red onion, zucchini & yellow squash. stuffed in our hoagie and finished with our chipotle aioli. marvelous. Prosciutto and gruyere cheese melted between thick slices of Artisan Sourdough with honey dijon. powdered sugar and raspberry preserves. A simple & elegant French farmhouse recipe. gruyere cheese melted between slices of grilled sourdough soaked in a sweet white wine sauce. Warm sliced turkey on toasted ciabatta with sliced tomato, melted mozzarella, basil pesto mayo, greens. classic OTM. Warm sliced roast beef, melted provolone. au jus. GF= Gluten Free. Substitute GF Bread for an additional $1.50 (2 slices). Add an additional slice of Artisan Bread $1. per slice. Beautiful, intimate, comfortable, and amazing service and food . They helped make our 10th anniversary very memorable. Danielle our server was great! She took good care of us. We had dinner with family for my wife’s birthday. Perfect!! Such a gem ❤️ Lovely place for a special occasion or date. We have eaten here several times the last few years and continue to be impressed by the original dishes and the great flavors. Your taste buds will be delighted. Wait no longer. Make your reservation today! The entire experience was so perfect! Very friendly staff and exceptional food! Can’t wait to go back and do it all over again! Exceptional food. Love going back as often as we can. I met a girlfriend there. We loved the experience. The space was perfect for an evening to get caught up. The food was great. The service just what we wanted—not overbearing but never waiting. Love the atmosphere and excellent friendly service. The amazing aromas upon entering Over The Moon is a promise of what's to come! The beet stack is amazing and we both loved the two pasta dishes we ordered. 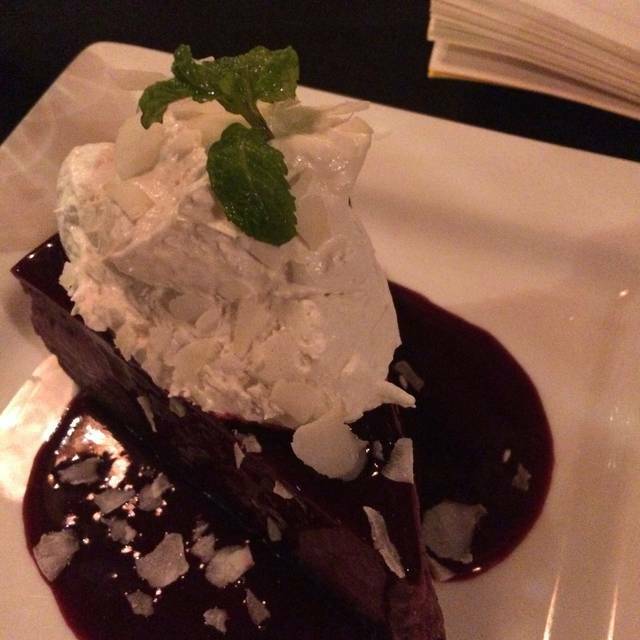 We love this sweet, romantic and delicious spot tucked away on Opera Alley. Ample free parking too! Great service on a busy Sat night. Great food and timely service when we needed it to get to a show. We had a reservation for a late dinner and we were delayed attendance at our granddaughter's high school choir competition/performance which ran a bit long. Once it was obvious that we'd be late, I phoned on my way to the car. They were very accommodating and appreciative for the heads up. Everything about our experience met or exceeded the claims by and for the restaurant. Over the Moon was lovely! The food and service were fabulous but the overall character and ambiance are what made it the perfect evening. I’m a frequent flyer! I Love Over The Moon! It’s my first choice for special dinners AND anytime. A rare jewel. 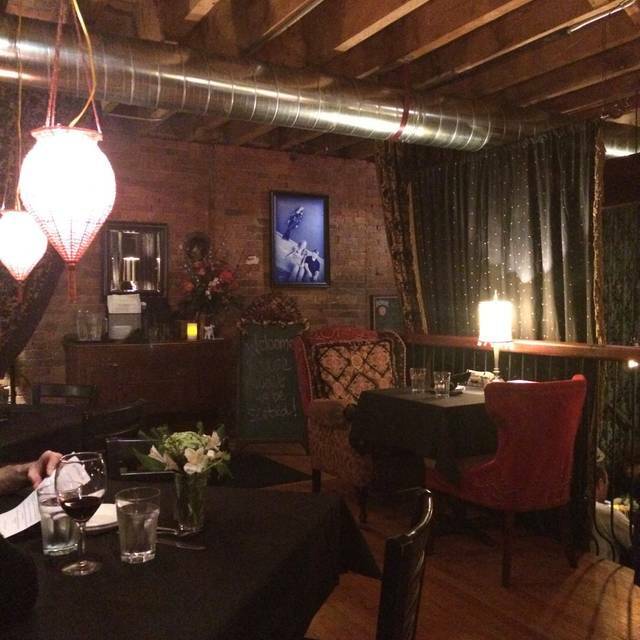 Great small, intimate, quirky restaurant near theater district in Tacoma. They have small plates, which are filling, and elegant mains. We had the bread and cheese, which was excellent, as was the spinach dip. 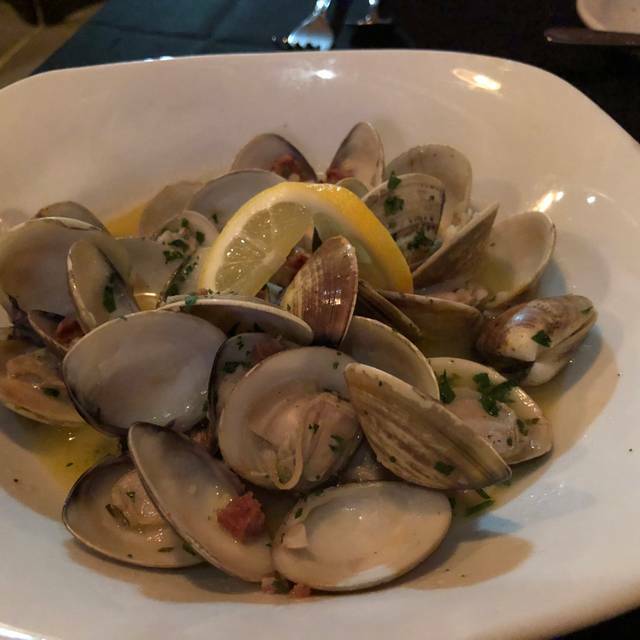 The prices are on the high end, but it's the kind of place you can spend time in intimate and relaxed dining with attentive and knowledgeable staff. 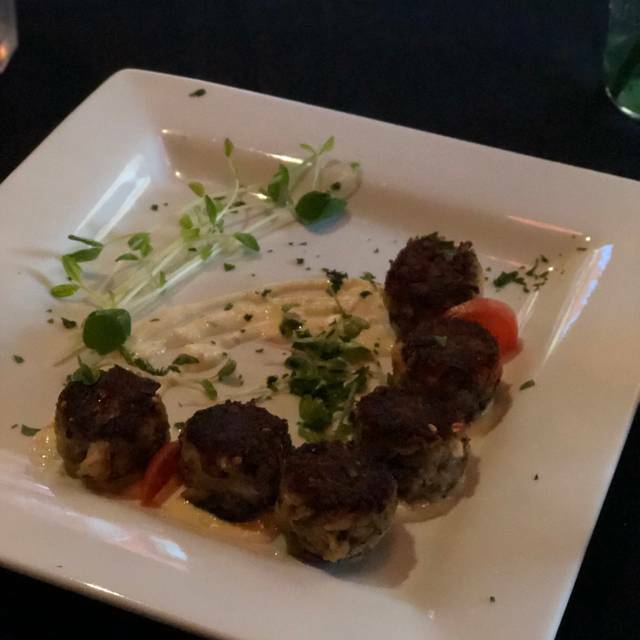 We just had small plates this time, but have had their full dinners before and highly recommend a visit!! Note: it is a small restaurant so reservations on Open Table are a good idea-when plays are on at the Pantages they fill up quickly! I’ve been here a few times...tonight was the best. 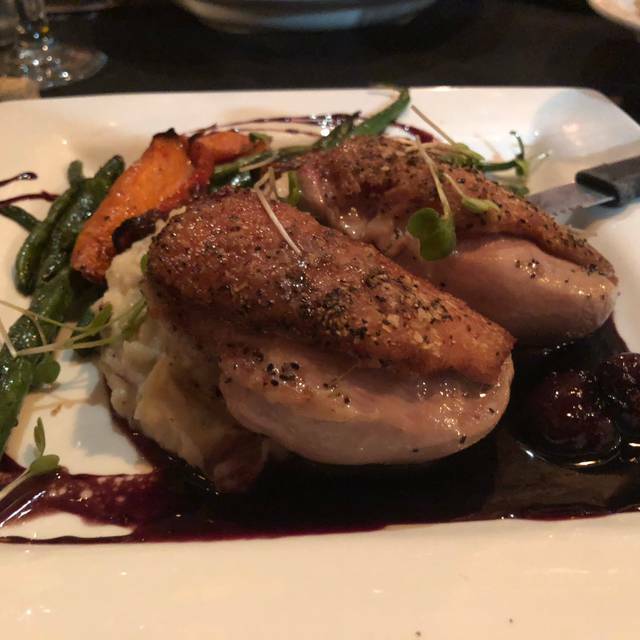 The food was absolutely exquisite...I had the king salmon with aspersgus and mashed potatoes, all perfectly and deliciously prepared. My lady friend had a chicken dish she could not stop raving about. 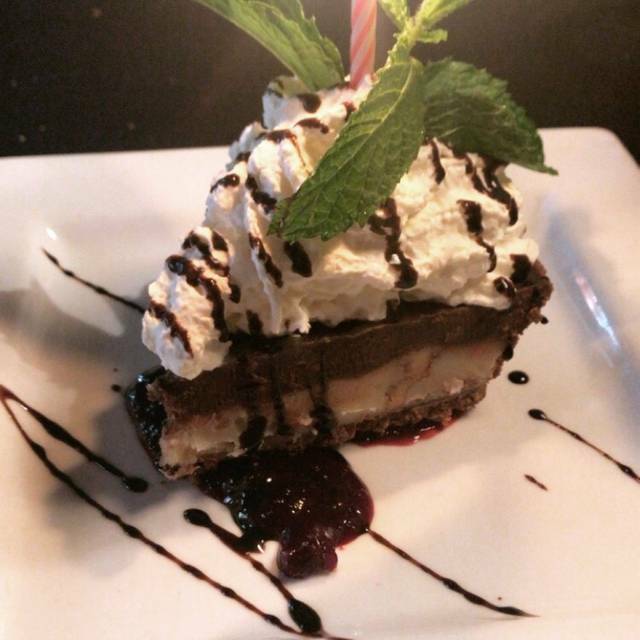 While we couldn’t fit desert, those are always amazing. The wine list is equally amazing. The entire evening was Over the Moon...never disappoints. Recommended most highly! This was our first visit, and we found it a wonderful experience. The food was top quality, the service was perfect, and the atmosphere was the best for quiet conversation that you didn't have to shout over the background noise to make yourself heard. We will be back to enjoy another great evening of food and conversation. What a place!!! The food was excellent, the presentation was beautifully done. I found myself taking pics of the plates. And the deserts are to die for...wow. a new favorite place. Loved this place! Will definitely return. Would like to come here for lunch next time. Food was superb. Red wine was too warm when served. OTMC always knocks it out of the park. My wife is gluten free, and we both get to enjoy full courses without feeling like we are settling to accommodate her dietary requirements. Great ambiance, attentive service, over the top wine list. No regrets! 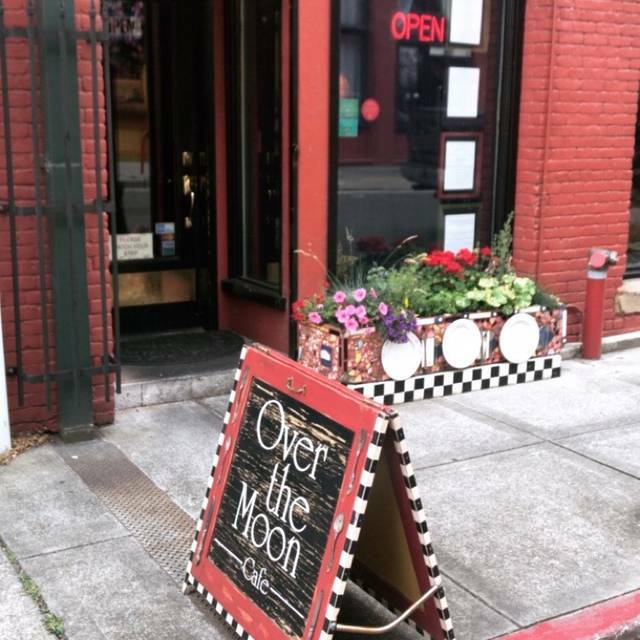 Our anniversary experience at Over the Moon was fabulous! The food was perfect, our server Danielle was awesome. 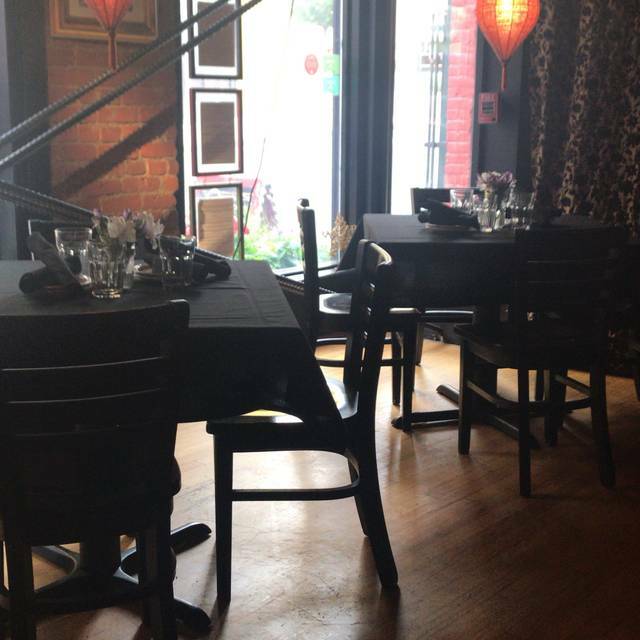 It's our go-to place for special occasions. Deanna had a vision for this place 18 years ago, and the talent to make it happen! Highly recommended. Love this place! Great food! Good vibes. Excellent little hideaway restaurant with a very home-style feel. Fresh ingredients, great wine list, the ribs were soft and juicy, and the salmon had great crust and wasn't dry as can happen with overcooking fish. Great place!! This place is always a treat. Amazing menu, cooks and staff here. A fabulous place to enjoy an excellent meal. Everyone is so nice and accommodating. We just love this restaurant. And the wine selection is exceptional and reasonably priced. I would give it a thousand stars if I could. Lovely and cozy restaurant. The staff was very attentive but not too attentive - even allowed us to finish our glass of wine even though they were officially closed - without even a sigh. We had the cioppino and the duck, which were both very good though the cioppino perhaps just one shade too spicy. Otherwise wine list is fun and we just really loved how intimate the place was. Great place to go if you want a relaxing meal without a lot of noise. This was more than just a cafe, it was a romantic small restaurant that celebrates love in such a wonderful way. My fiancée and I celebrated I 5 year anniversary there and we felt all the love that previously existed in the restaurant by other couples. Such a great experience, see you guys again! Wonderful food. The restaurant is personal and quiet. 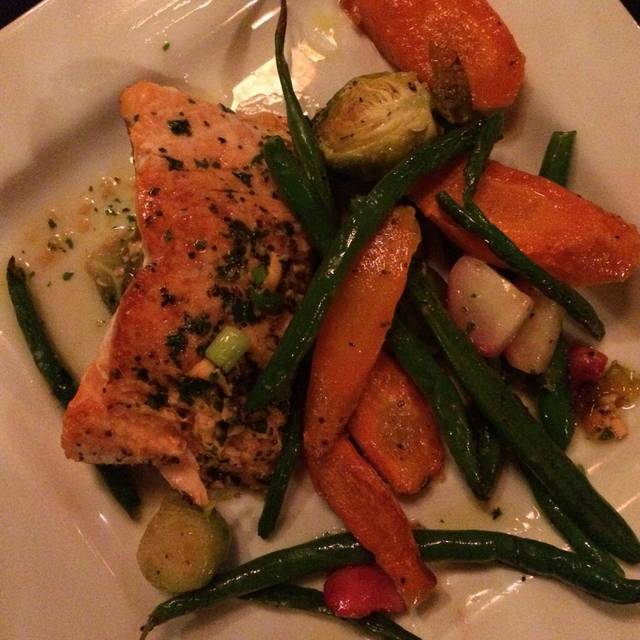 Loved the salmon and the wine. My wife is a huge fan of the lobster mac and cheese. Great meal in a wonderful atmosphere. Good wine selection. We will go back! First visit enjoyed the entire experience. Excellent service, high quality food and great location. We will definitely be back. Made reservation for 6 then another 5 on the trip decided to join us at the last minute. Our waitress handled it with grace and humor and efficiency. Got it handled without problems, and the food came quickly and was just great. Group had a wonderful experience! We have always had great experiences at Over the Moon, and this last was one of the best. We went on our anniversary, and when the wait staff found out they went out of their way to help us celebrate. We decided to share a dessert, and it came on a long platter with "happy anniversary" written on it in chocolate. That was just the final touch on a great evening. The food was outstanding, the room was quiet enough for us to actually have a conversation, and the service struck the perfect balance between being attentive to where we were in the meal and what we needed, on the one hand, and leaving us alone to talk on the other. We will be back, many times we hope. This restaurant is so wonderful! It is perfect every time! I love Over the Moon Café. They have great food, a quaint atmosphere, and wonderful service. I would recommend it to anyone.